Sip on three healthy, locally made drinks that are satisfyingly salubrious. Cheers to that! We spoke with Anna Fox, manager of Farmacy Herbs in Providence, about the ways in which people can learn how to integrate their herbs into their day-to-day lifestyle. So, how can these herbs be consumed? Fox says not only topically or through cooking methods, but through tea blends, too! You can choose from eighteen different tea blends made from loose leaf teas, most of them being decaffeinated varieties. For the workout enthusiast: Sip on the biker’s blend tea, a mashup of horsetail, nettle, gingko and alfalfa herbs. The nettle and horsetail contain high amounts of silica which support healthy cartilage in your joints. The gingko supports circulation and the alfalfa provides a boost of vitamins that are often needed for exercise. For the insomniac: Say sweet dreams with the dream blend, made from mugwort, oatstraw and passion flower herbs. This blend combines a plant known for its power to induce and enhance dreams with calming nervines that help support a deep, restful sleep. For new moms: The mother’s tea contains a handful of herbs — nettle, alfalfa, borage, chamomile and raspberry — which are ideal for post-pregnancy support and can help encourage milk production. The raspberry leaf found in the blend tones and supports women’s reproductive systems, too. To get the full tea on the tea, visit farmacyherbs.com. 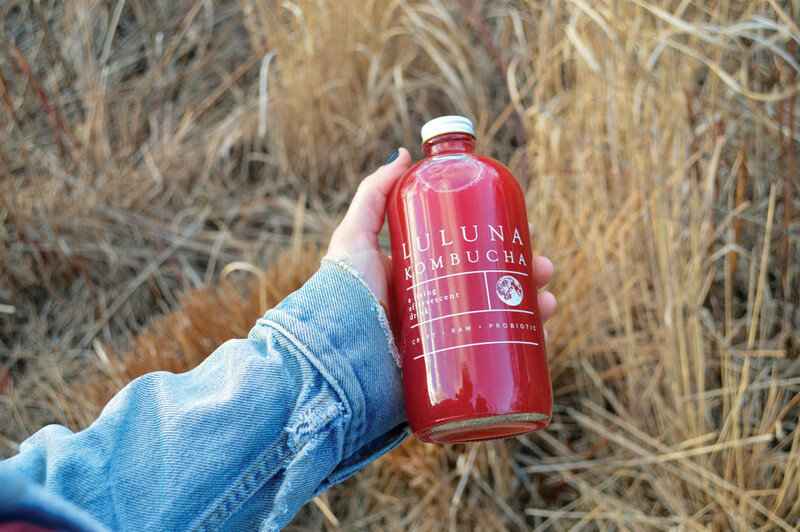 We chatted with Luluna Kombucha owner and co-founder, Lucy Kreger, about their fermented tea and its probiotic benefits. What exactly is kombucha? Kombucha is fermented tea, a probiotic beverage that is naturally effervescent. 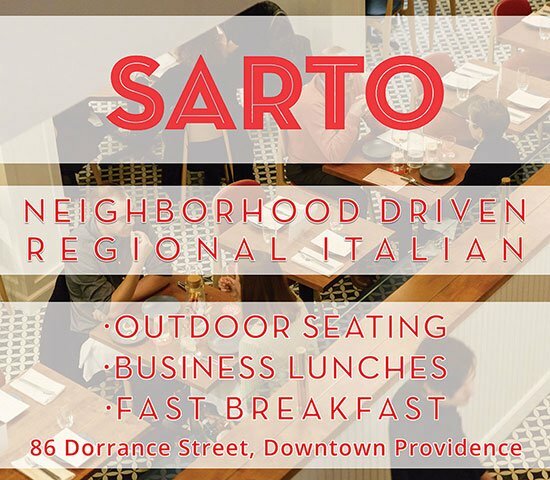 “We flavor it with fresh fruit and herbs gathered from around New England to mix in different flavors,” says Kreger. How is kombucha made? Since kombucha is a fermented beverage, there are a few different steps involved to make it. “First, we brew tea, and then, since there is a symbiotic culture of bacteria in yeast, we let that ferment. In this process, it eats the sugar and the sweet tea,” says Kreger. “We ferment ours for about three weeks, so it is quite a long process.” From there, they add in fresh fruit and herbs to give it a second fermentation. It will continue to eat the sugar from the added ingredients, which continues to reduce the sugar content as well as the caffeine content. Quench your thirst at Warren’s juice hotspot, Quench Juicery. The shop goes beyond your average smoothie basics to deliver a menu with protein-packed drinks full of eyebrow-raising ingredients. Bee pollen, anyone? We talked with Emily Farr, owner of Quench, about some of the smoothies they offer and how particular add-ons are beneficial to your body. “Maca is helpful for anxiety and depression and can provide an even-keeled feeling throughout the day without the risk of a caffeine crash,” she says. “Spirulina is high in protein and has plenty of minerals and vitamins, too.” Plus, bee pollen (you read that right) is great for allergies and adds a sweet taste to the drink. Our favorite blends? It’s a toss-up between the Liquid Sunshine (made from apples, carrots, strawberries, oranges, raspberries and kale) and the Island Breeze (made from mangos, pineapples, strawberries, bananas, coconut flakes, raw honey and coconut milk). If an apple a day keeps the doctor away, sippin’ on these smoothies will ensure that appointments are few and far between. Thirsty for more info? Check out quench-juicery.com.